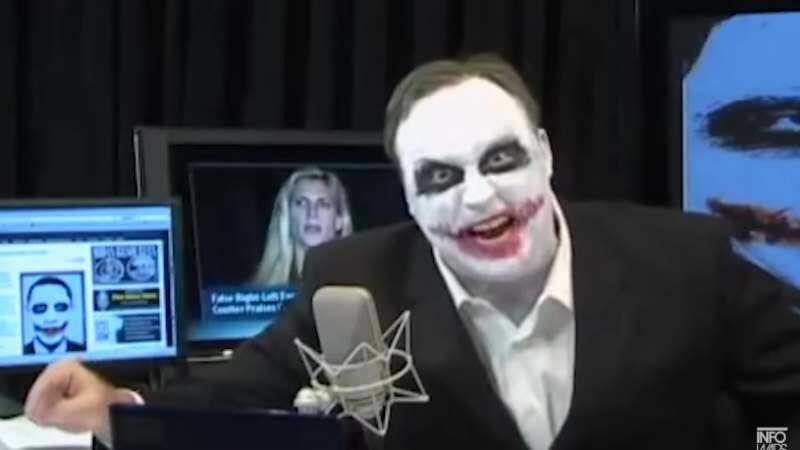 We’re already three days into the chili-stained circus of radio host Alex Jones’ custody trial, and it’s been going pretty well. (For a batshit crazy version of “well,” at least) So far, Jones—a man who thinks 9/11, the moon landing, and the shootings at Sandy Hook Elementary were all faked by insidious attention seekers, and who has propagated those ideas to thousands—has already talked openly about zebra hunting, his status as the king of the memes, and the relative dankness of government pot. But now, as things get more serious, he’s asking for people to stop having quite so much fun with what a ridiculous human being he is, and treat him with the same journalistic decorum and respect he’s granted so many others. On the one hand, Jones is absolutely right; a custody trial is, by its nature, a frequently fraught and ugly thing, with the emotional health and well-being of innocent children on the line. But nobody seems to be making fun of Jones’ kids, or even his ex-wife, in the shouting that surrounds the trial. (Nobody’s even suggested that they might be “child actors” like the kids Jones has repeatedly said didn’t die at Sandy Hook.) The barbs have been firmly planted in the hide of Jones himself, a man who’s spent the last 20 years profiting off of encouraging his listeners to be as paranoid and resistant to reason as he is himself. Jones’ lawyer has claimed that he’s a “performance artist” putting on a “crazy” persona. (Jones’ semi-friend Jon Ronson, who’s written about the radio host a number of times, suggests that there’s no reason he can’t both be playing a character, and legitimately potentially mentally ill.) Either way, he’s a man with a microphone, and anything that makes it harder for listeners to take his views seriously—like his aspirations of being a hamburger-chomping pool party king—are almost certainly strikes for the public good.